Sea Gull Lighting Windgate Collection 1-Tier chandelier uses five 100-Watt A-19 incandescent or 8 - 13.5-Watt LED lamps. Medium socket lamp has voltage rating of 120-Volts. 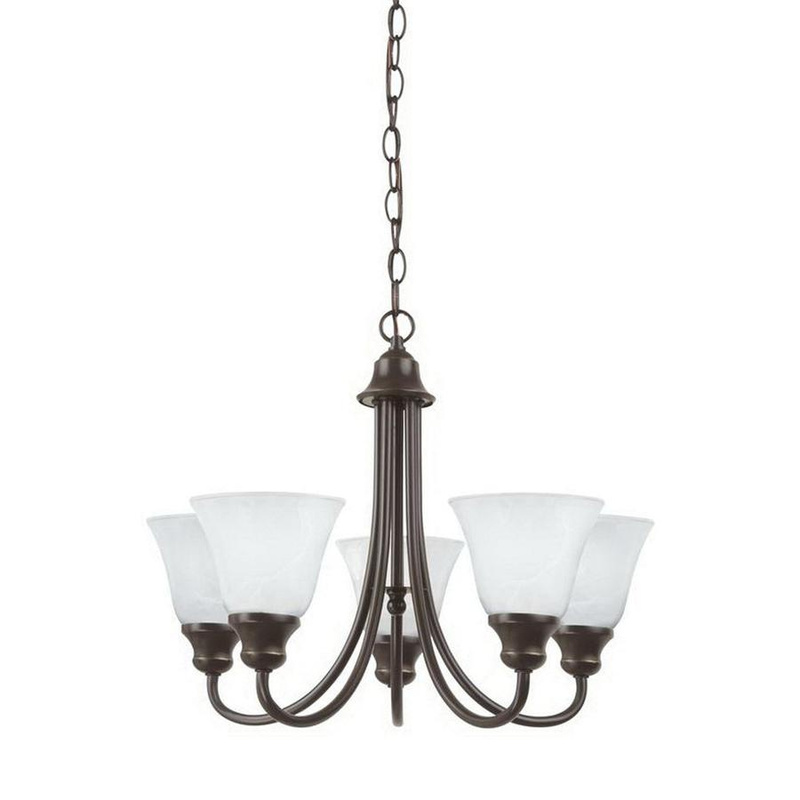 This transitional chandelier has heirloom bronze finish and steel construction. Alabaster glass shade brings elegance to the home. It measures 20-1/2-Inch Dia x 16-3/4-Inch. This center lockup/box mountable chandelier has 36-Inch long chain/stem and 72-Inch lead wire for hassle-free installation. It is suitable for dry locations. Chandelier is safety ETL listed and meets title 24 energy efficiency standards.